Wondering what to do in Taos NM? Now is the time to Visit! Historically, May in New Mexico has been a month of transition. Snowfields may still linger in the high country and spring flowers are blossoming in the valleys below. As such, locals and visitors alike head outside to take advantage of the changing seasons and warmer temperatures. There are a wide variety of activities and events this May to help your entire family get outside and enjoy the beauty and wonder of the Sangre de Cristo Mountains. El Pueblo Lodge is here to serve as your spring headquarters, allowing you to stop wondering what to do in Taos NM on your May vacation. A beautiful twenty-five mile drive from El Pueblo Lodge is Angel Fire Resort. This mountain getaway is a hub for skiers in the winter, but this spring secure your bikes to your car and get ready for another type of downhill adventure. 9am on May 12 marks opening day for the Angel Fire Bike Park, where you and your family can safely ride chairlifts up the mountain and enjoy a fast and exhilarating ride downhill. A few weeks later, on May 28, Angel Fire opens up their Zipline Adventure Tour – an adrenalin filled treetop tour on top of the mountain. This safe, fun, and exciting activity is fun for the whole family. Whether biking or zip lining, Angel Fire provides the perfect backdrop for the adventure-driven members of your family to get outside and enjoy a beautiful spring day in the mountains. Visit Red River, NM, for the annual Fishing Derby on May 14. The Town Ponds in Red River will be freshly stocked with trout and cash and prizes are awarded for every tagged fish caught! This event promises to be fun for the whole family and, with beautiful Red River serving as backdrop, there is no shortage of other area activities in which to participate. If you still find yourself wondering what to do in Taos NM this spring or summer, keep a keen eye on the events calendar. Taos and Northern New Mexico play host to many festivals throughout the year, and one of the first big ones of spring is the Taos Lilac Festival held from May 20 – 27. From children games and events, live music and entertainment, a taco cook-off, craft fair, and all things lilac, this celebration taking place all around Taos is the perfect way to welcome the coming spring. 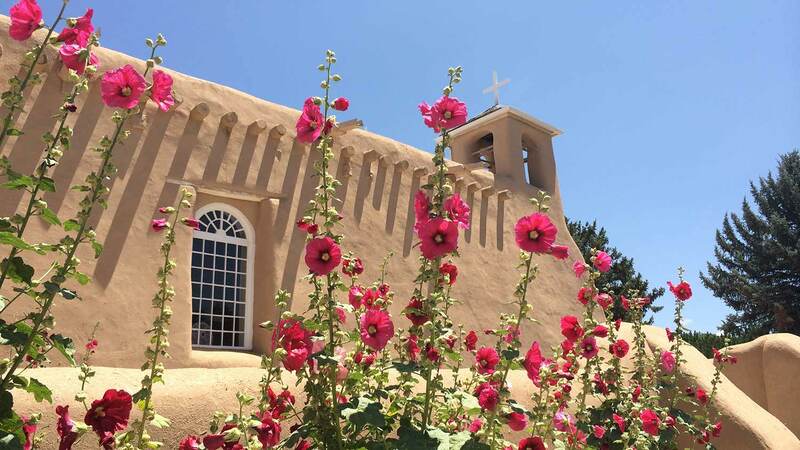 The warm months in Taos are the most popular times to visit, and May is the start of beautiful weather while the summer crowds have not yet begun to flock to our little slice of paradise. Book your adventure now.